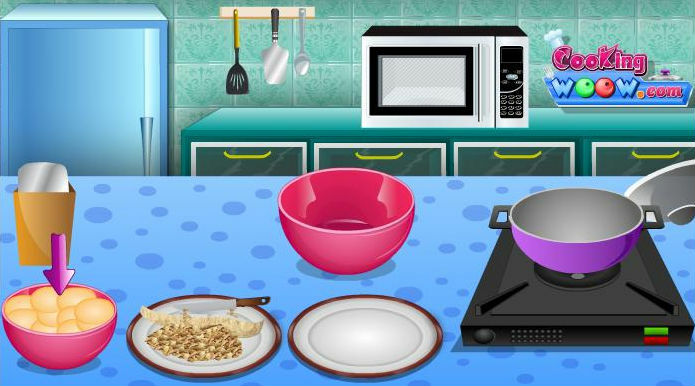 Enjoy your time spent in this new cooking game for girls as you are about to prepare some pinwheels with lots of tasty stuff like coconut and cinnamon. Follow the instructions to get them just right. Use the mouse to prepare this special dessert recipe.